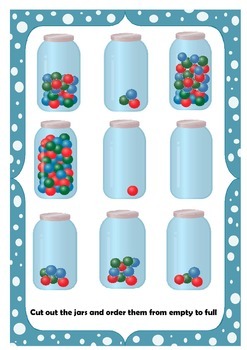 This maths sorting exercise asks children to compare the capacity of jars and place in size order from empty to full. 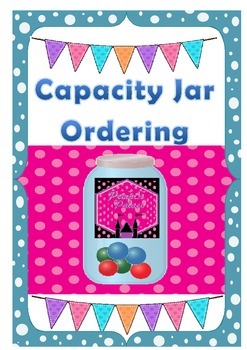 The children in class were fully engaged with this activity and were able to show their awareness of capacity. The jars can be pre-cut and laminated or as the children in my class did use as a scissor exercise and cut and glue into their maths books. Estimating or counting how many marbles in each jar can be used as an extension activity.